Adobe’s annual creativity conference, Adobe MAX, crammed 12,000 people into an indoor arena the Venetian, Las Vegas last month. The event allows attendees to grab a sneak peek at what goes on behind the curtain. The creative software company provides an early opportunity to see what prototypes they have been working on in their design labs. Not all of these new technological solutions will make it into the creative cloud. But the crowd’s reaction could be an early indicator if the project addresses a frustrating pain point that the audience wants to resolve. In a digital world where visually appealing infographics are used to simplify information, Adobe revealed they are attempting to speed up the lengthy timescales it currently takes to visualize data in a valuable way to the recipient. Project Lincoln is an antidote to the complexities around delivering visually stunning reports or infographics. Creatives are currently faced with relatively limited options. They can try to knock something up in an Excel chart. But the result will resemble something from our analogue past. The alternative is to turn to a team of graphic designers and data communication experts, but predictably you have to get to the back of a long queue to secure their services. Meanwhile, clients are increasingly expecting their data to be quickly transformed into artistic displays with little appreciation of the cumbersome processes behind it. Adobe’s mission with Lincoln is to simplify data visualization. In an era of instant gratification, could it finally be time to wave goodbye to rigid templates? 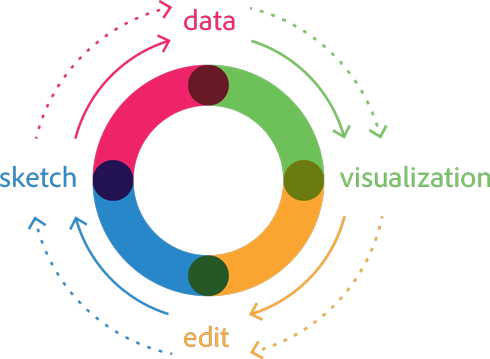 Adobe’s mission with Lincoln is to simplify data visualization. In an era of instant gratification, could it finally be time to wave goodbye to rigid templates? When Bernard Kerr, Senior Experience Designer at Adobe took to the stage, he effortlessly created 14 visually appealing charts in only four minutes using data from a spreadsheet. This is made possible by approaching the report from an opposite vantage point. Currently, the report creation process begins by capturing your data and then turning to a creative team to work on visualization. With Project Lincoln, you start with the visualization concept and then attach the data as you go. Essentially, Lincoln is a data visualization tool for designers to link graphics to data without the need to code. For many observing the sneak peak in Vegas, tying the data to the design felt like a design first concept by Adobe. LINCOLN IS A NEW APPROACH TO MAKING VISUALIZATIONS THAT GIVE DESIGNERS THE CREATIVE FREEDOM TO MAKE BEAUTIFUL CHARTS, VISUALIZATIONS, AND INFO-GRAPHICS WITHOUT THE NEED TO CODE. 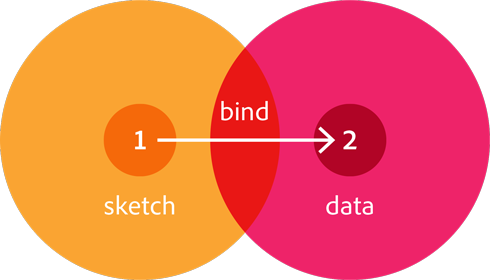 THIS REVOLUTIONARY APPROACH EMPOWERS DESIGNERS WITH A NEW SET OF DATA-DRIVEN DRAWING TOOLS THAT CAN DRAMATICALLY CHANGE THE DESIGN VELOCITY AT WHICH DESIGNERS CAN MAKE THESE SORTS OF GRAPHICS. Lincoln looks like a natural partner to Adobe’s existing sketching tools. The creative combination of information from a spreadsheet and a data variable palette where properties such as scale, colour and text can be amended seamlessly felt like a game changer moment. The complexities that surround big data, AI, and machine learning can be a daunting prospect for non-techies. As automation becomes a reality, there is also an opportunity to let software bring data visualizations to life in a language that humans can understand. There is an argument that we will continue to work alongside computers rather than being replaced by them. On paper, Lincoln would be a welcome addition to the creative cloud and could dramatically cut down on the time it currently takes to visualise data in a meaningful way. Despite an incredibly impressive live demo at the Adobe Conference, we will have to wait and see if this exciting proof of concept will go on to live up to its potential. Although Project Lincoln was a mouthwatering glimpse into the future of data visualisation, Adobe did reveal which of its platforms this or any other sneaks may eventually appear. 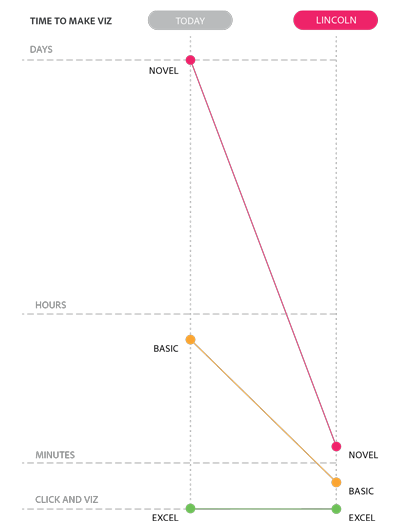 Data visualization is becoming a big part of design work, and a half decent charting tool doesn’t exist yet. If we are brutally honest, Illustrator’s graph tool still needs a lot of work. But could this be the solution to making our lives a little easier? Please share your thoughts and insights by commenting below.